If your laptop crashes, will your event floral business crash with it? What about that one massive Excel file that contains all of your proposals, pricing, and customer notes? For many event designers, there are a lot of eggs in one basket. If that basket breaks, then so does all of your hard work! In today’s wireless world, the “cloud” has provided a secure resting place for music, photos, and yes – critical business information. 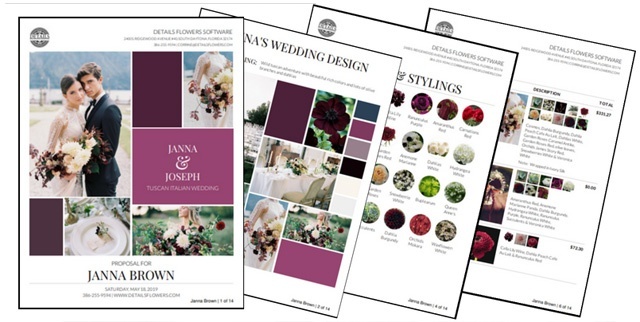 More and more, event & wedding designers are leveraging cloud-management services to streamline how they run every facet (and flower) of their day-to-day operations. For event florists, a crash with no backup can create an insurmountable problem. 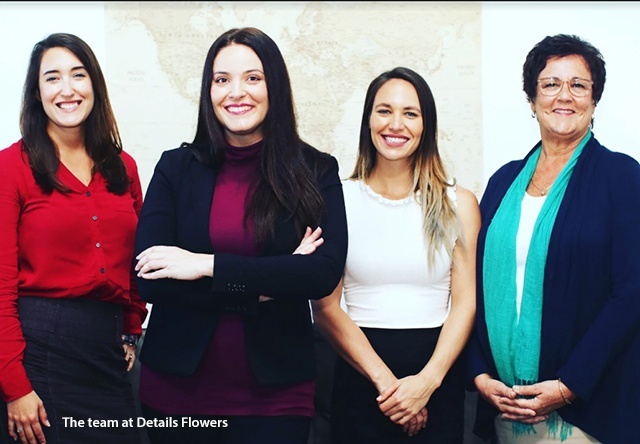 Working with a floral-management cloud service like Details backs up every important element of your business: quotes, photos, contracts and invoices are all protected in a worst-case scenario. By sending proposals thru an online service, clients can accept your terms while a digitally-signed copy is added to your cloud account. All the important documents to reserve your services are stored right online. The system will track client information, including the IP address of the signer with the date & time stamp of the contract term acceptance. That makes for very good business when and if you ever need it. The floral industry is always looking for ways to "Go Green" and event-florist cloud management embraces this ideology by having most everything online, eliminating the need to print documents. You’ll be saving trees like never before! Another feature of Details that appeals to its subscribers is access to their resource guides and recipe galleries. 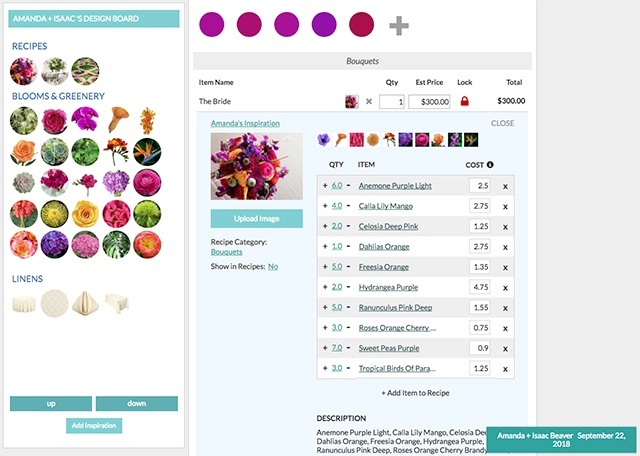 These help florists showcase their work and portfolio in easy-to-navigate "virtual showrooms." These showrooms keep track of inventory items, favorite blooms & portfolio designs. Making all of this information available for potential clients provides users a competitive edge, and can often seal the deal on the spot. What used to take 4 individual people to accomplish is now created by one person,” Heck explains, “If you’re looking for ways to cut your labor costs, having an online solution is a great way to scale back on hourly rates.” Details is also accessible anywhere you there’s a Wi-Fi connection – a potential lifesaver if you need a quick reference while on-site at an event space. 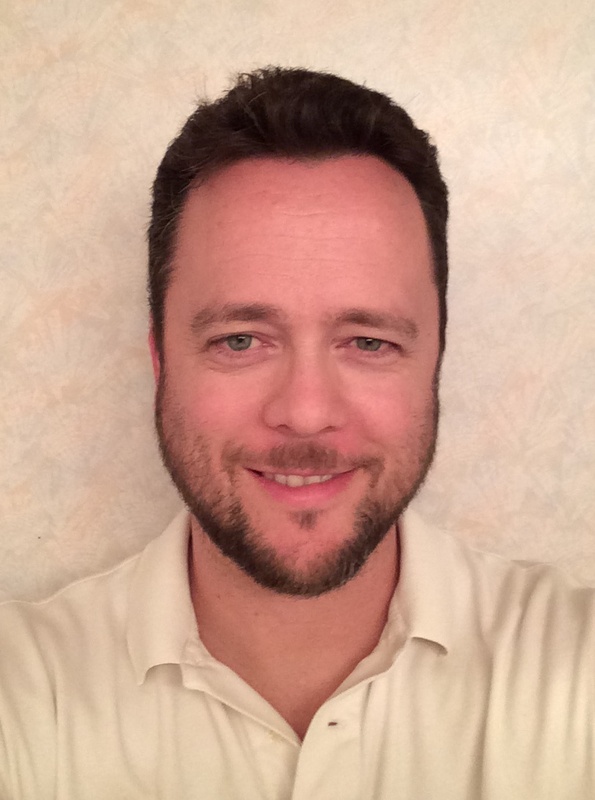 Joe Barnes is the Marketing Manager for Kennicott Brothers wholesale flower distributors. He holds a Bachelors degree in Advertising & Public Relations, and has worked in the flower/horticulture industry since 2007.